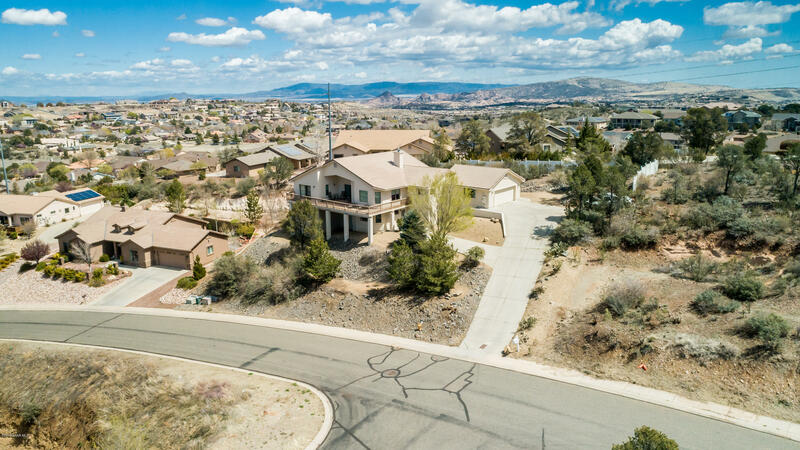 All Santa Fe Village homes currently listed for sale in Prescott as of 04/22/2019 are shown below. You can change the search criteria at any time by pressing the 'Change Search' button below. "VIEWS, VIEWS, VIEWS!! DID I MENTION VIEWS? THIS 2-LEVEL HOME HAS INCREDIBLE VIEWS. STEEP DRIVEWAY=GREAT VIEWS! PRIVATE YARD ALLOWS FOR OUTDOOR ENJOYMENT, BEAUTIFUL ENTRY WAY LEADS INTO OPEN LIVING ROOM, DINING ROOM & KITCHEN. MULTIPLE WINDOWS & DECK ALLOW FOR OPTIMAL SCENIC VIEWS. LARGE LIVING ROOM FLOWS SEAMLESSLY INTO DINING ROOM. KITCHEN HAS UPGRADED CABINETS & SOLID-SURFACE COUNTER TOPS WITH BREAKFAST BAR. MASTER SUITE ON MAIN LEVEL WITH MORE VIEWS, GARDEN TUB, DOUBLE SINKS & WALK-IN SHOWER."